You are currently browsing the category archive for the ‘FASD Awareness Day’ category. 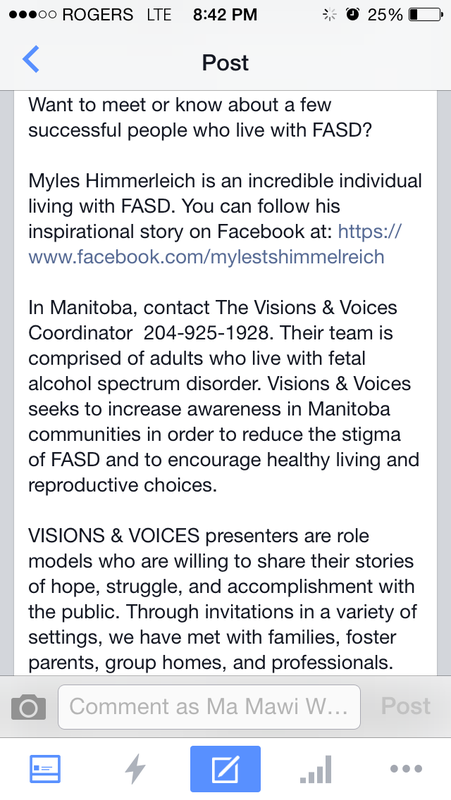 “FASD Awareness” – what does that mean? 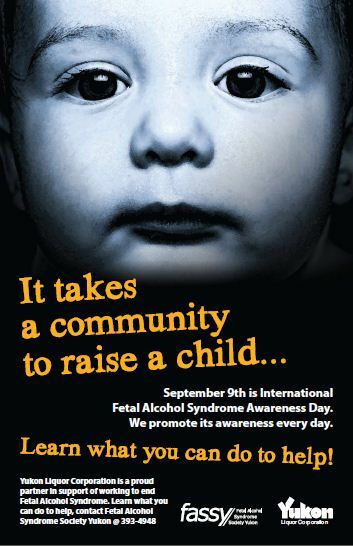 September 9th will mark almost two decades since the first FASD Awareness Day. Communities and organizations around the world are planning events and media campaigns to raise awareness. But what does “FASD awareness” actually mean? The answer is that FASD awareness is multi-layered. It means AWARENESS that Fetal Alcohol Spectrum Disorder is a disability caused by prenatal alcohol exposure and has a range of effects that are lifelong and varied. It means AWARENESS that for women, alcohol consumption has particular risks. It means AWARENESS that there is no known safe amount of alcohol consumption or safe time to drink during pregnancy and while breastfeeding. 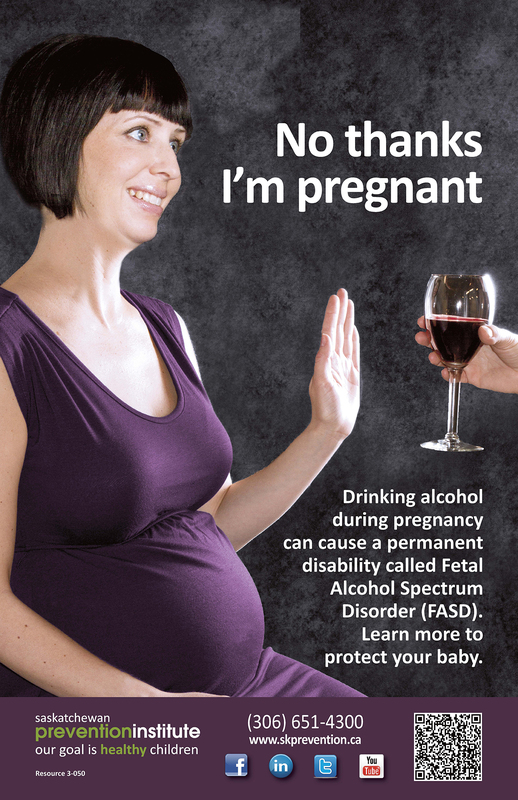 Without knowing how much or how little alcohol can cause FASD, there is always a risk. It means AWARENESS that there are many reasons why a woman might drink during pregnancy and that women deserve information and support, not blame and stigma. It means AWARENESS that FASD is a primary disability that affects individuals differently and can lead to secondary disabilities, particularly if undiagnosed. It means AWARENESS that people living with FASD have both strengths and challenges, and they and their caregivers deserve and benefit from respect, support and resources. It means AWARENESS that there are ways for everyone to take part in prevention and intervention efforts. It means AWARENESS that research continues and there is hope. Since 1999, FASD activists have held World FASD Awareness Day events on 09/09 to represent the nine months of pregnancy, often highlighted with a bell ringing ceremony at 9:09 am. September 9, 2016 is approaching, and this year activists want to use social media because it provides a unique and far-reaching means of building awareness. You can help build FASD awareness by posting a message, reposting theirs, or bringing attention to their events on your own social media accounts. This year Canada Fetal Alcohol Spectrum Disorder Research Network (CanFASD) is providing an online forum for organizations to post their initiatives on the CanFASD website. Include a description and a picture or video and they will re-post and Tweet it out to all of their followers. You can post using #FASDAwarenessDay #CanFASD and win prizes. NOFAS US has developed a FASD Awareness Day Packet for 2016 to assist organizations with planning activities for the month of September – FASD Awareness Month. A Twitter Chat using the hashtag #FASDMonth as well as offering tweets you can use to send out to others. A one-time message commemorating FASD Awareness Day can be posted to your social media accounts using ThunderClap – a crowd-speaking platform using social media. Learn more here. A campaign to create a video that will feature an inflatable globe being “passed” around the world. Click here to learn more about the campaign. The University of Auckland is hosting a FASD Policy and Research Forum starting at 9 a.m. on FASD Awareness Day. Find out more here. 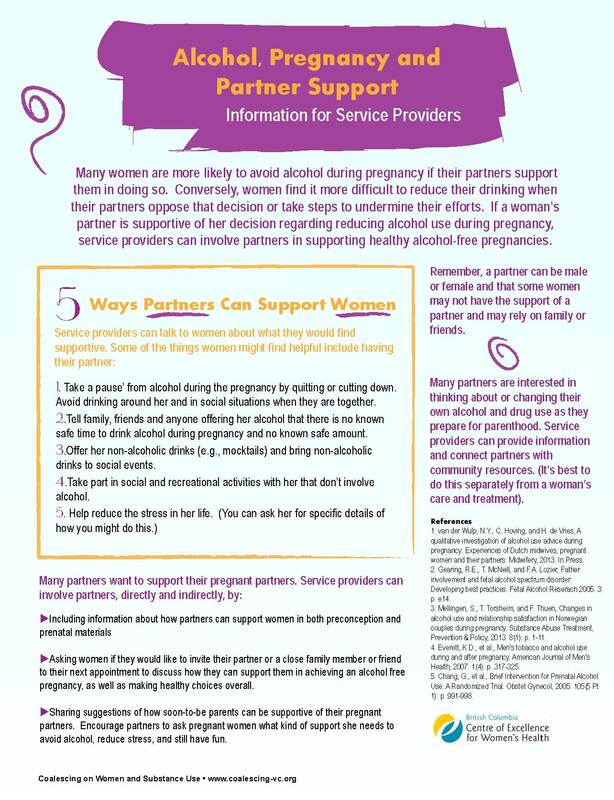 To find more information, links, and downloads from New Zealand, visit the Fetal Alcohol Network NZ and the Ako Aotearoa learning website for the Pregnancy and Alcohol Cessation Toolkit for providers. NOFAS Australia is encouraging people to take a pledge not drink on Sept 9 and to post it on social media as a way to spread the word about FASD. Also on the Pregnancy Birth & Baby website, there is a call to join the Pregnant Pause Campaign for FASD Awareness Day. The FASD Trust is asking people to get involved in a number of ways – raising awareness in school using the Trust’s School Pack, writing their MP. Click here to see their efforts. To learn more about the history of FASD Awareness Day and get more ideas for events, click on FASD Awareness Day website. Is your group, organization, or country planning a FASD Awareness Day event? Please share them in the Comments section below. 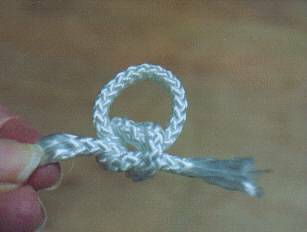 “The first FAS Day began on September 9, 1999 in Auckland, New Zealand, where “Minute of Reflection” bells rang at 9:09 a.m., at Mt Albert Methodist church. Then it moved to Adelaide, Australia, and then to South Africa, where at 9:09 a.m., Cape Town volunteers gathered to hear the War Memorial Carillon that rang when Nelson Mandela was released from prison. 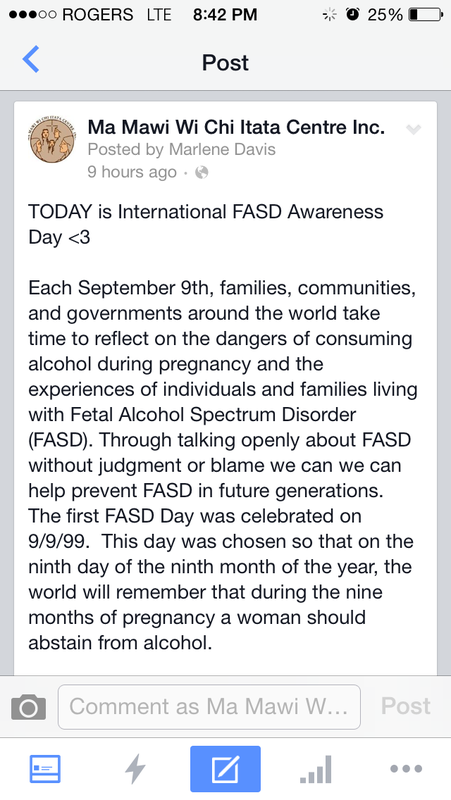 Events to increase awareness about FASD are happening all over the world today and throughout September. Find out what’s happening in your community. 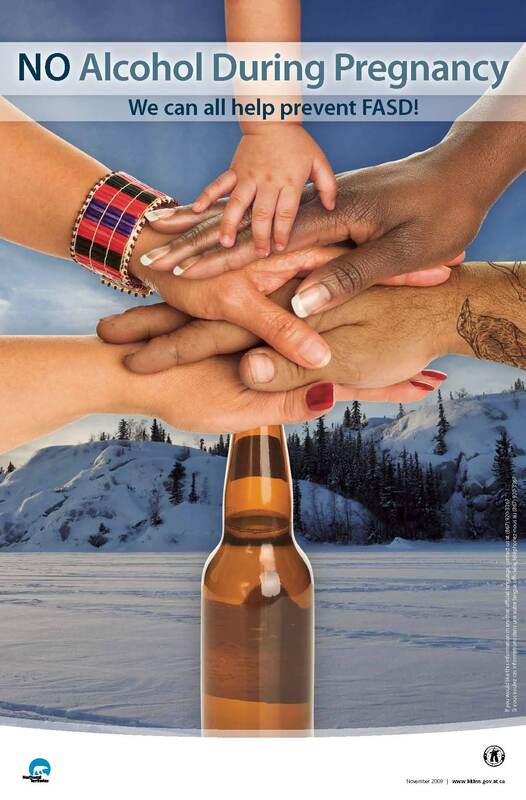 The image above is from a poster and brochure developed by the British Columbia Liquor Distribution Branch. (Each of Canada’s 13 provinces and territories has a liquor board or commission that oversees the control, distribution and sale of beverage alcohol in its jurisdiction. Many boards run FASD Awareness campaigns in the month of September as part of their social responsibility initiatives). Here are a few other resources on FASD developed by members of the Canada FASD Research Network that you might want to share with others. The campaign was developed by FASWorld in Toronto, a non-profit organization co-founded by adoptive parents, Brian Philcox and Bonnie Buxton. Earlier this year, posters from the campaign could be seen around Toronto. This September, FASWorld teamed up with the Liquor Control Board of Ontario (LCBO) to spread the campaign across all 640 LCBO outlets in Ontario. 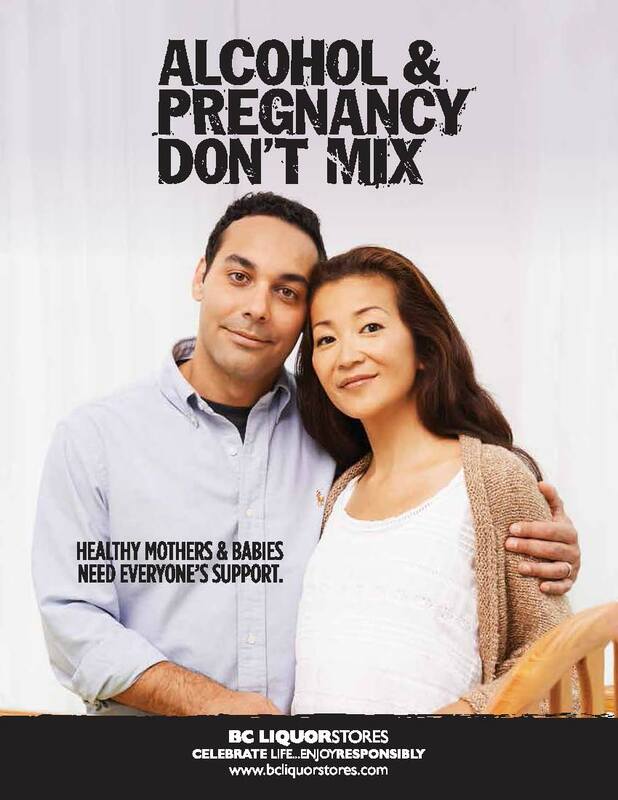 While many people find the images to be positive, others have critiqued the campaign as it suggests that women who do not stop drinking during pregnancy are uncaring and irresponsible. Others have found the focus on the fetus/pregnant belly and the use of naked women to promote awareness as problematic. Global News reports on mother, Laura Jamer, who lodged a complaint with the LCBO. Jamer critiques the campaign in light of inconclusive research on “light” drinking. 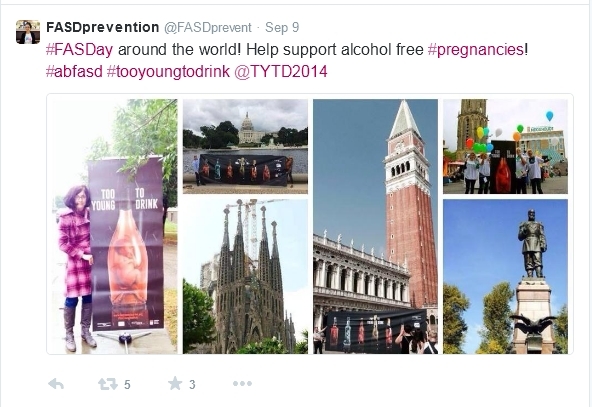 The Too Young To Drink campaign was launched last week on September 9, 2014 (International FASD Awareness Day). The launch of the campaign involved individuals and organizations displaying a banner of the campaign in a busy area of their home towns at 9:09am on September 9, 2014. Groups all over the world took pictures and made videos of themselves with the banners and shared them via social media, including Facebook, Twitter, and Instagram. Campaign materials are available in English, French, Spanish, Russian, Portugeuse, Japanese, Italian, Slovenia, and Polish. All the images feature a fetus immersed in a bottle of alcohol, but the bottle reflects the traditional drinks of various countries and regions: brandy from the Balkans, the French champagne, Italian wine, the English and Irish whiskey, and vodka of Eastern Europe. The campaign visuals were developed by Fabrica, the organization that developed the Italian “Mummy Drinks, Baby Drinks” campaign (which I’ve blogged about in the past here and here). Fabrica is a communications research centre financed by Benetton. Creative Director Erik Ravelo talks about the campaign in this “behind the scenes” video. Visit the campaign website here. If you are interested in learning more about or joining the network, visit the Network website here. Also, read more about the background to the campaign in an article published in the International Journal of Alcohol and Drug Research earlier this year (Open Access). The Ma Mawi Wi Chi Itata Centre in Winnipeg delivers children in care and community based programs and services to Aboriginal families. Check out tweets from the Ma Mawi Wi Chi Itata Centre from yesterday (International FASD Awareness Day). Learn more about the organization on its website or view the YouTube clip below. Today is International FASD Awareness Day. Below are some of the posters that you might see in liquor stores across the country today. (Each of Canada’s 13 provinces and territories has a liquor board or commission that oversees the control, distribution and sale of beverage alcohol in its jurisdiction. Many boards run FASD Awareness campaigns in the month of September as part of their social responsibility initiatives).